Pegasus have been offering best in class accounting, commercial and payroll products since the early eighties. Pegasus Opera 3 is now an integrated single solution that is perfect for the growing SMB and corporate market place. With over 20,000 small to medium sized companies across the UK benefiting from Pegasus software, the product has grown and developed to specialise in this sector. The suite now includes all financial and commercial modules, as well as the very latest Payroll solutions which include all statutory requirements. With additions such as CR, Service and Help Desk and Document Management the one solution offering is now an excellent proposition. 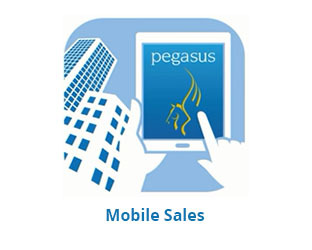 As a partner with Pegasus for over 30 years our skill set is second to none. Out team are able to provide consultancy, planning and full deployment and support of the product allowing you to maximise on your investment. Deploying Pegasus solutions for many years in different verticals has meant we have a wealth of experience in knowing how to get the very best from the product and tailor to your exact needs. Also, as an authorised developer of the software we are able to modify or build additional specific functionality when required. Our partnership with Pegasus and our clients is committed and ongoing and the wealth of knowledge continues to grow. We have helped many business transition from old legacy systems to benefit from modern, powerful application software and add many benefits to their business. Being able to make informed decisions has allowed our customers to improve productivity and ultimately profitability.